After going for a run around Greenlake and feeling thoroughly gassed, Bobby and I watched Primer, one of my favorite movies of all time. Every time I watch it, I understand more and more. This visual timeline that Theo pointed me to certainly helped this time, but I also picked up on a lot of cues early in the movie that I didn’t notice the first three or four times through. Movies that can continue to produce newness after even a couple of viewings are rare; Primer in this regard is a true Gem. It just turns out that there is such a ride in Seattle, and it’s called “Ride Civil.” Not quite as catchy as what we came up with at Amazon before we heard about Ride Civil (C3M2R, see below), but it gets the point across. Ride Civil happens on the second Friday of every month, meeting at Westlake Center at 5:30. For me, this is mostly an experiment. What will it be like riding with a group (who knows how large?) through an urban environment with lots of traffic, while following all of the rules, and even being extraordinarily courteous to our two-ton brethren? For this ride, I’m even going to wear my helmet. Yuck. Every once in a while I read a paper that makes me think the social sciences are not entirely lost. The most recent, by an FSU professor is titled “Is There Anything Good About Men?” Definitely a thought-provoking read. 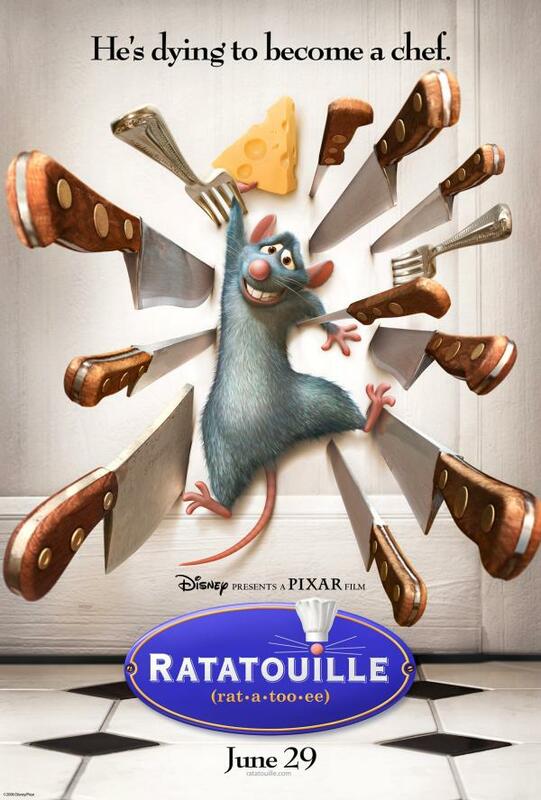 I just got back from Lincoln Square where I ended up watching Ratatouille with Dan. And, simply put, Pixar has done it again. Another masterpiece in their growing collection of fine offerings, I’m pretty sure that this was the funniest movie I’ve seen in a while and it left me happy and fulfilled to boot. Highly recommended! I skipped out of work early today after Dan Marsh called to inform me he had an extra ticket to a French Comedy movie at the Seattle International Film Festival (SIFF). Since SIFF started during the end of spring quarter and finals, I never got my act together to get tickets, so this was my first movie of the festival. Dan told me that he had heard good things about the movie, and since I thoroughly enjoyed the last French comedy I saw, I thought I would give this one a shot. As it turns out, what Dan had heard was right — the movie, OSS 117: Cairo – Nest of Spies, a spoof of a Jame Bond-esque spy series, was a great deal of fun. As an extra treat, the director and the beautiful lead actress, Berenice Bejo, showed up as well. Their english was not excellent, but it was good enough and, well, she didn’t need to speak much if you know what I mean :-D.
This gets a solid 4.0 on the Ryan Rating, and is deservedly reccomended. Met up with Shai tonight (and missed Brian, but saw Dan) to watch Pixarâ€™s latest offering, Cars. I laughed, I (almost) cried, and I enjoyed myself thoroughly while leaning back into some of the finest movie theater chairs ever created at Bellevueâ€™s Lincoln Square Cinemas. While Cars was not as deeply layered as The Incredibles, the movie still really worked for me. Definitely the best Iâ€™ve seen in a while.